This large sized, 27-bead carnelian wrist mala with Tibetan agate and moss agate is made with love and strung to last on strong, clear stretch cord. Perfect for men and women with large wrists. 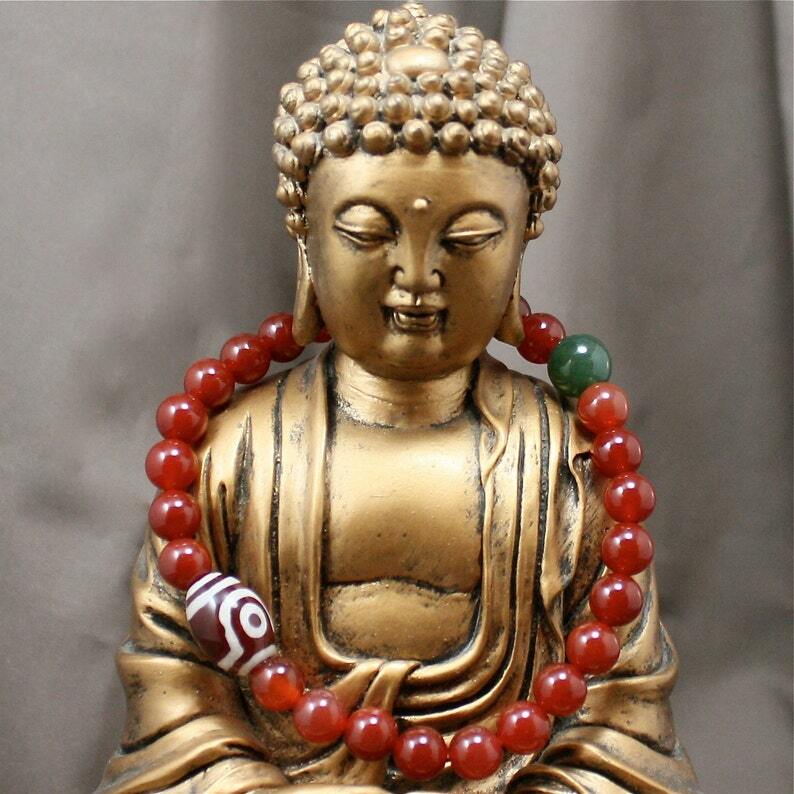 Carnelian is helpful with courage, confidence, and sexual health. Agate is helpful with grounding, persistence, and stability—according to The Book of Stones. and one large Tibetan agate as the guru bead. *Tibetan agates vary in pattern*. 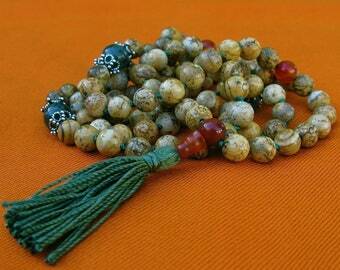 If you say a prayer or mantra around it four times it equals a 108-bead mala. Wrist and pocket malas are a popular way to remember our practice as we go about daily life. Tax added in Paypal checkout for California sales.